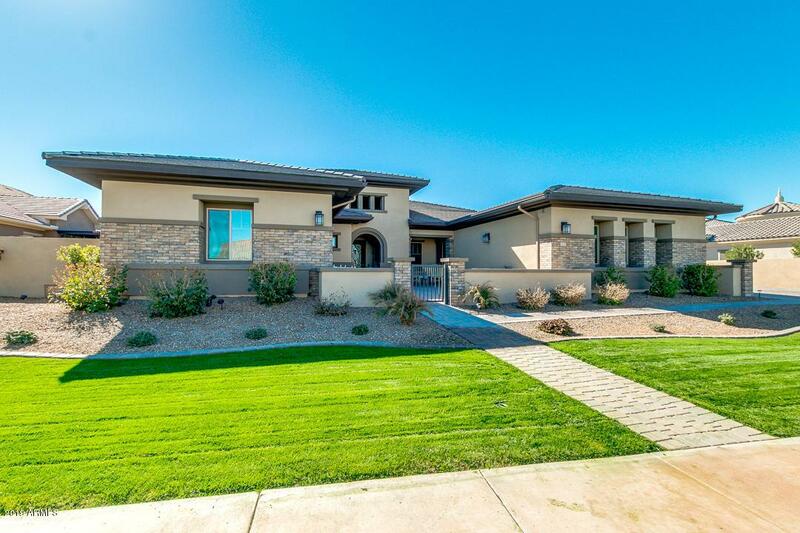 Amazing single level Gilbert property located in amazing Legacy at Freeman Farms. 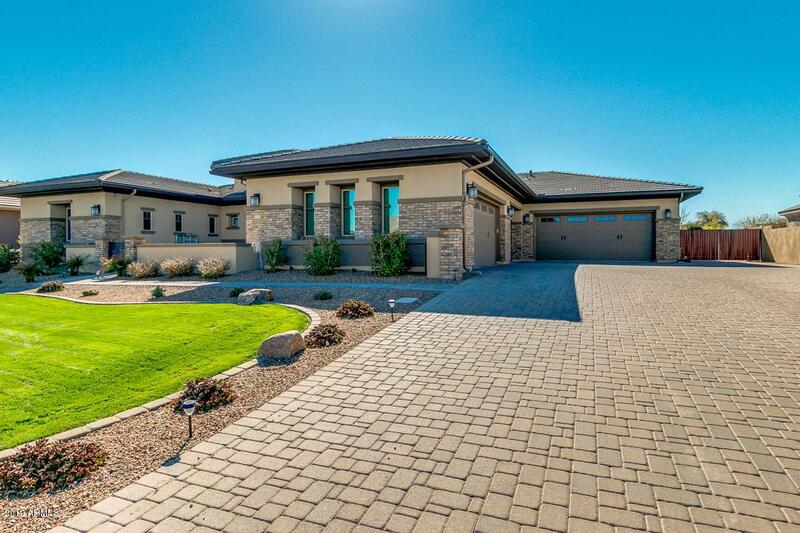 Great curb appeal, stone accents on the facade, 4 car garage, RV gate, and beautiful grassy front landscaping. 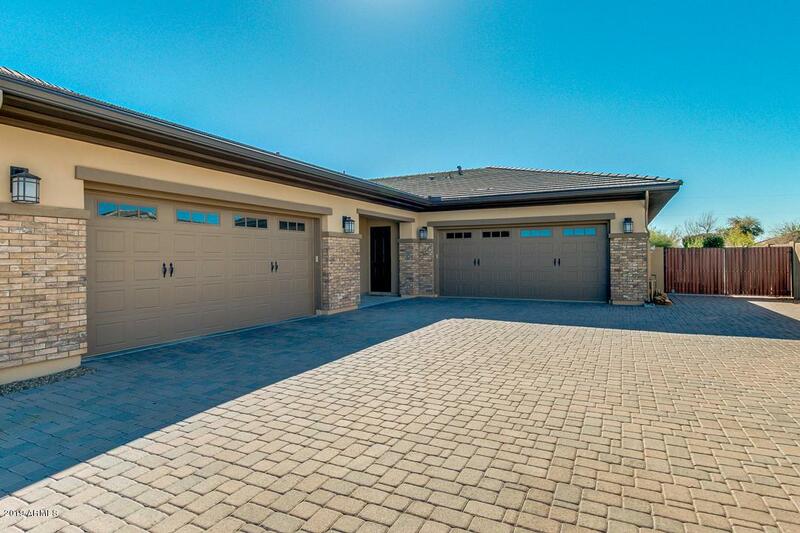 One of the LARGEST lots in Legacy. Welcoming interior provides 5 bed, 5.5 bath, neutral color palette, theatre/game room, and luxurious light fixtures throughout the house. Gourmet kitchen is complete with upgraded stainless steel appliances, ample cabinetry with crown molding, pendant lighting, large island with sink and breakfast bar, walk-in pantry, and granite counter-tops. Large master suite has a sitting area, lavish full bath with garden tub, dual sinks, step-in shower, and walk-in closet. 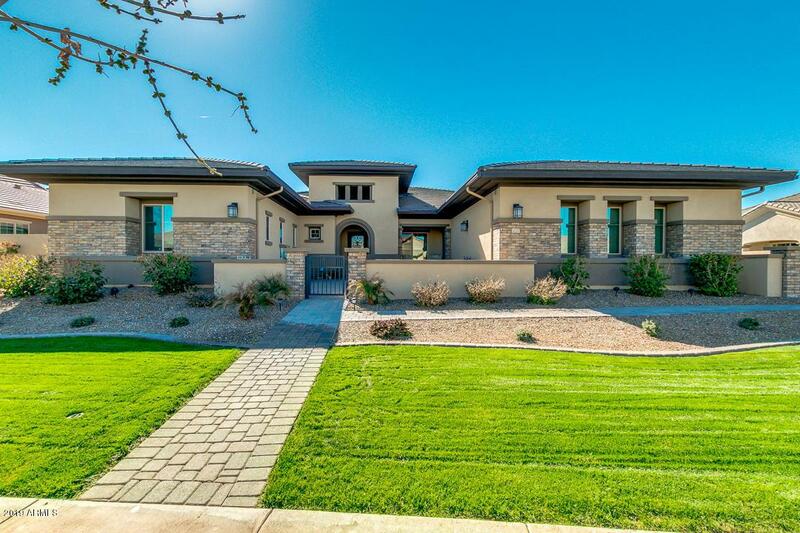 Outstanding backyard offers covered patio, fire-pit, grassy area, and sparkling blue pool and spa.